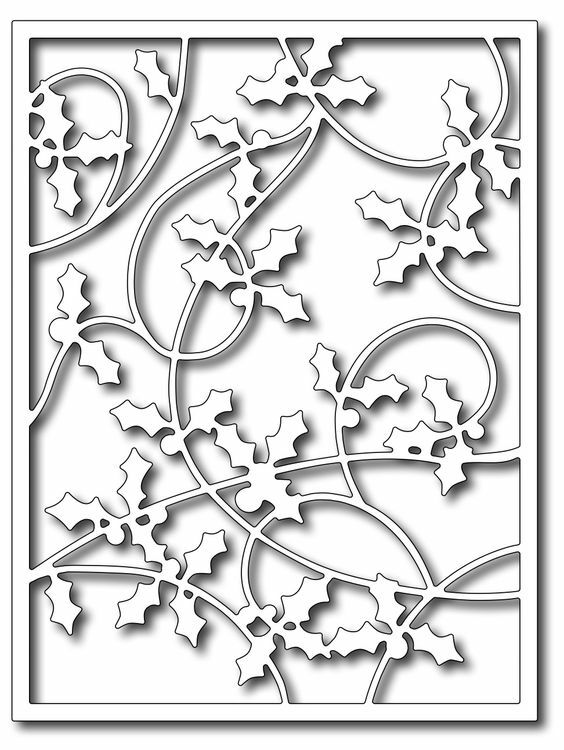 Dies: bracket edge with insert (Frantic Stamper), ornaments (Spellbinders 2010, 2011, 2012 Heirloom Ornaments). Stamps: ornaments (Christmas Miracle Ornaments, Merry and Bright, both by Just Rite), sentiment (Color Layering Christmas Tree), Versamark ink, Hampton Arts green embossing powder. 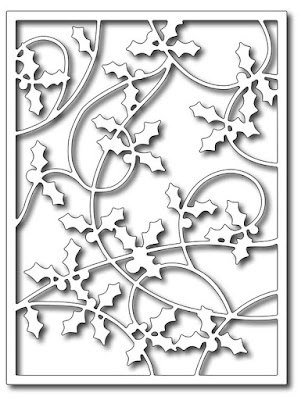 Embossing Folder: Christmas Holly Damask (Anna Griffin-Cuttlebug). 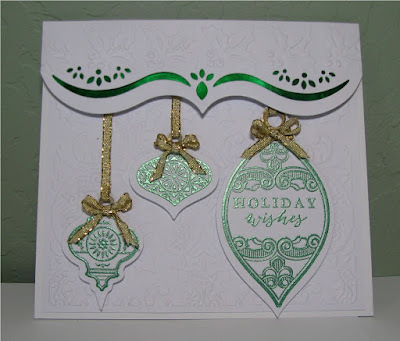 Paper: Neenah solar white cardstock, green foil (Wal Mart). Ribbon: 1/8" gold wired edge ribbon (Michaels).